We lived in different cities and countries for most our lives but always connected to talk cars. I remember his excitement in Feb ‘89 when Mazda unveiled the NA – the sheer genius of Japanese reliability combined with the ethos of British open top motoring. 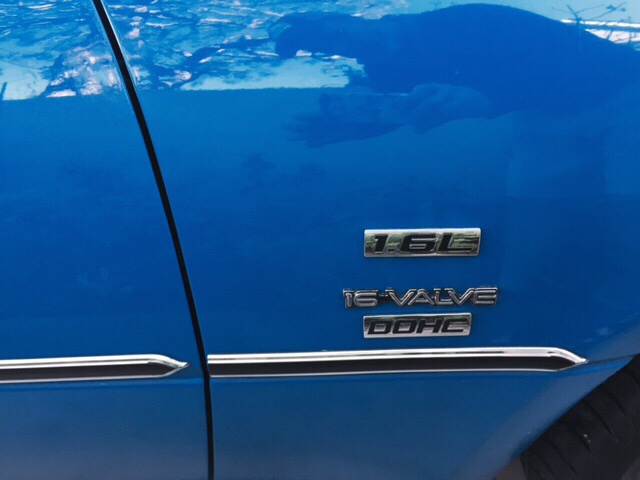 The one head scratcher was Mariner blue since BRG seemed so obvious (and we hadn’t heard the lore of “French blue”). 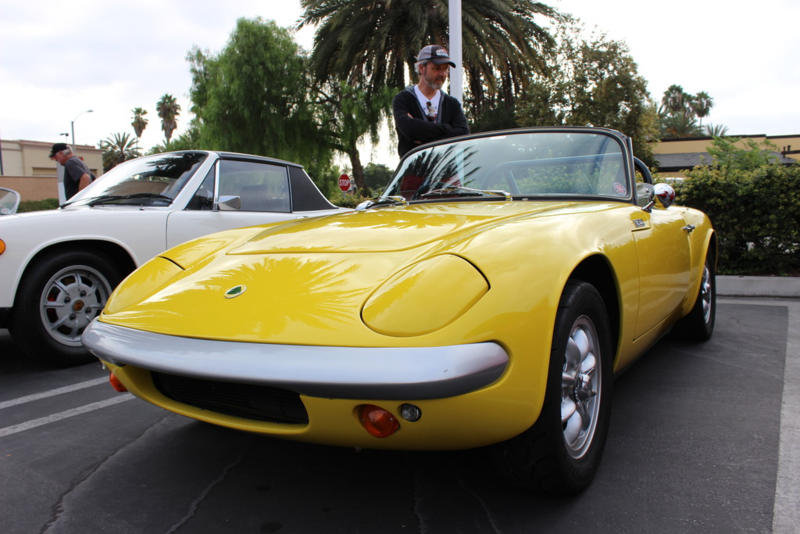 It simply stood out as an odd color choice for an otherwise classically styled roadster. We thought it looked inspired by the Lego blue of my Galaxy Explorer set. Fast forward twenty five years to last summer. Dan came across Lola, a montego blue ‘96 with 184k miles for $750 and swapped the family ‘87 Jetta to get it. He was in rapture. 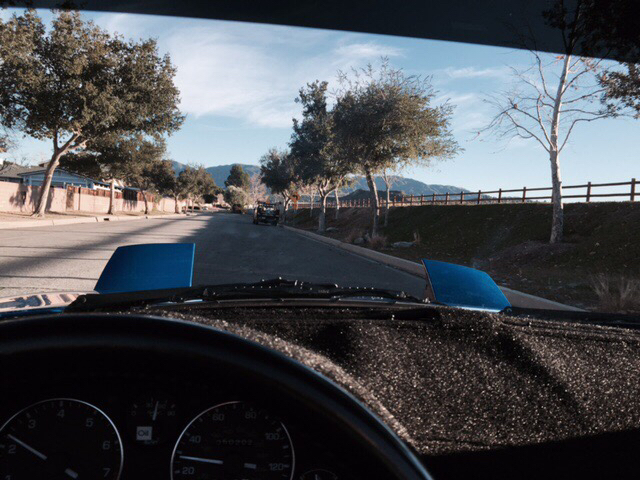 I’d moved from the the UK to LA and was contemplating a European classic convertible for enjoying the perennial great weather and amazing SoCal car culture. He chastised me for missing the point that *fancy* ≠ fun and shamed me for not recollecting his heartbreak over struggling to keep his 124 on the road. I couldn’t really challenge his logic. Sadly, Sept 10th he called to say he’d been diagnosed with cancer that was already at stage 4 which left no hope of a recovery. He passed away a mere two months later but I was so fortunate to have been able to get back to Vancouver (Canada) most weekends to be with him on his journey. I learned so much from him especially during that time and am grateful we could spend so much of it together. He never wasted a second feeling sorry for himself or dwelling on regret. The simple mission he chose was to enjoy as much as he possibly could with his family and friends for as long as he had. His funeral was Nov 12th during Thanksgiving. I couldn’t be more thankful for having had a brother, mentor and friend like him. As I continued to try and grasp the finality of it all, Jen (my better half) encouraged me to think about picking up a Miata. As a tribute. Inspirational as she’s always been, that set me on the hunt. 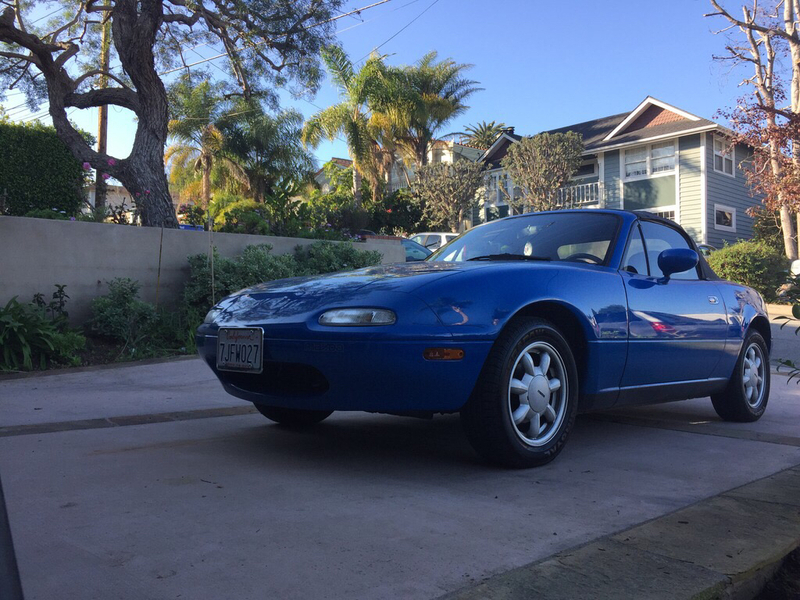 I started spending loads of time learning more about NA's and the incredible Miata community online and became truly inspired by so many of you. 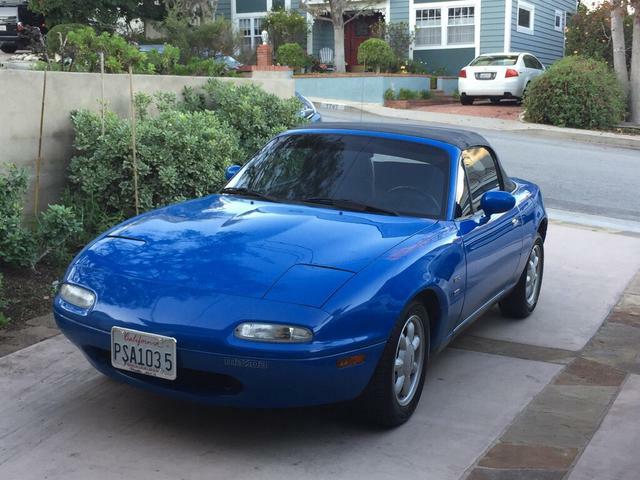 For me, the search criteria was simple.. find as close a car to the Lego Blue miata we talked so much about in ‘89. Had to be a first year production, as close to stock as possible and of course Mariner blue. After a few months of hunting, one came up in CA with less than 50k miles on the clock. Jen and I drove up and bought it on the spot. The first order of business was going to be cleaning up some of the "special" badges and carpet dash cover but the drive home was intoxicating..
Last edited by Martin; 10-20-2015 at 04:43 PM. 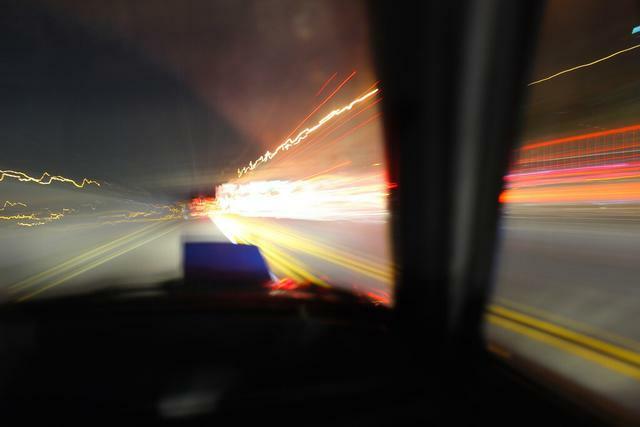 glad you are carrying on with the miata, and im sure you have an angel watching over you now. 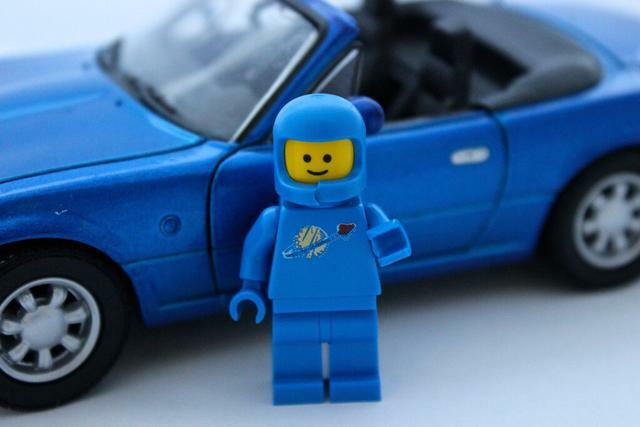 Love the name "Benny" for the Lego Blue Miata, I have two young boys so I can relate. hope to see a build thread or progress thread on this Miata in the future too!!! PS pretty sure I have that lego set in your photo from my childhood, gonna go look now. Thanks Randy - and thanks for the incredible community you've created here! (even if I have a suspicion that your whole master plan was only to get the first look at all the rare JDM goodies for your collection before anyone else gets the chance since I already lost the Aerodynamic door pulls and Garage 502 mirrors to you ;)! I've got a backlog of pictures of the build to date (only cosmetic so far) but before I start posting more, any ideas why the pictures show as links on my PC but the images come through on Tapatalk? I thought I'd already mastered the right way to link from PB but seems like I've messed it up..
A great tribute. My brother is a few years older than me and like yours, he has inspired me to become the gearhead I am. 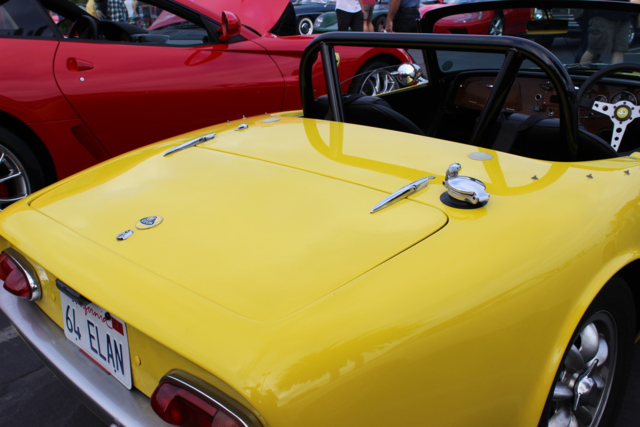 His first car was a Triumph Spitfire with a removable hardtop. He is a mechanic and is always available for my questions. There are few things in life as true as brotherly love. Benny!!! Yay. Fantastic to see you here, Pete. Thanks Adam, can hardly wait to show off some of my most prized Revlimiter goodies as soon as I get the image issue worked out! Protea, thank you for relating your feelings in such a compelling story. I think your brother would be proud of you. I have been through Vancouver more times than can I can count, Gas Town being my touristic favorite but enthralled every time. I think perhaps your beloved brother, Dan instilled the same appreciation of life in you way back when. 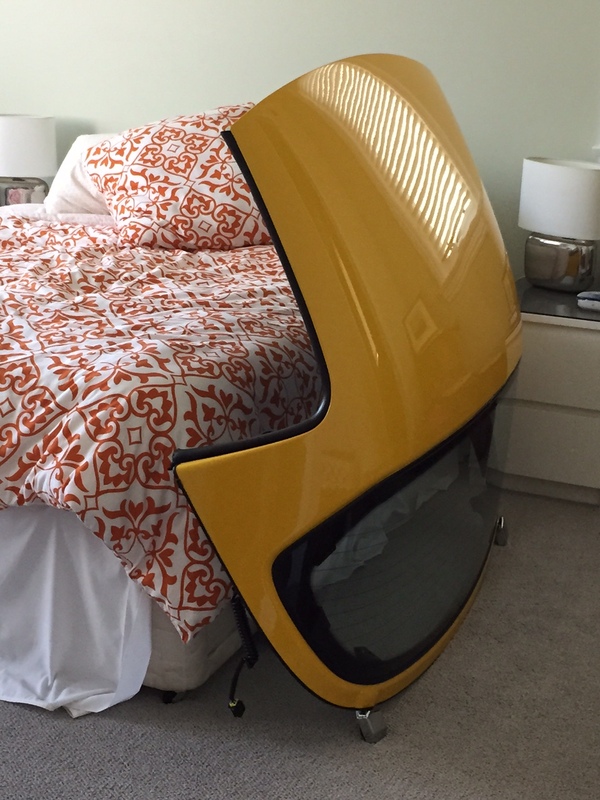 Good to see you have a build thread started and your story into the world of cars. Sorry to hear of the loss of your brother. I look forward to seeing developments you plan and as mentioned if you are in the UK in November you are more the welcome to pop round. We installed the most recent Tapatalk update but the new version only shows a links on the PC, only looks fancy on your mobile device. If you want the photos to show up BOTH ways then go to imgur.com and upload the photo there, then just copy paste the BBCode link onto your threads here and boom, shows up nice and big, and its free to use!! Thanks Randy - will look into transferring my library over from Photobucket to Imgur tonight so I can get started sharing some of Benny's updates. I'm sure if I'd done more digging through the FAQ's I would have learned Imgur was the better option. James - thanks again for the push to get me started! Still locking travel plans and trying to figure out options that don't impact your weekend - can you believe there are no direct flights from LAX to Gatwick (only LHR)!? No worries Pete. I look forward to seeing developments. Let us know how you get on coming to the UK. Are original posts un-editable after a certain amount of time? Thanks Martin - doesn't seem to apply here. Now that I've *finally* figured out how to posted pictures (not just links) was just going to update the first post in this thread. Hoping that eventually it's worthy for some folks to discover later and start at the beginning . ...much better without the fogged and cracked read window. 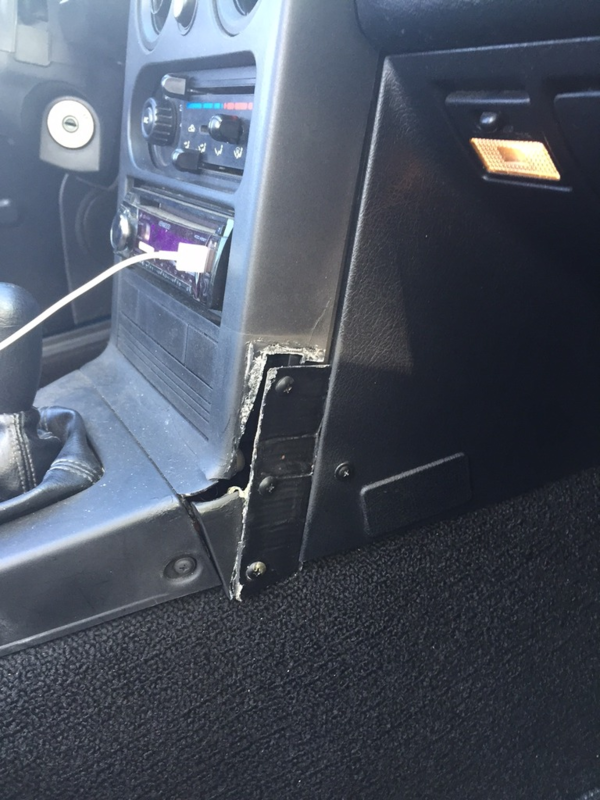 There was also some interior nastiness driving my OCD mad (who paints and screws a piece of cardboard onto a tombstone to fix a messed up stereo install!?). The lovely Mrs R and I intended to share the NA but increasingly were struggling to agree who had the more legit reason to use it. 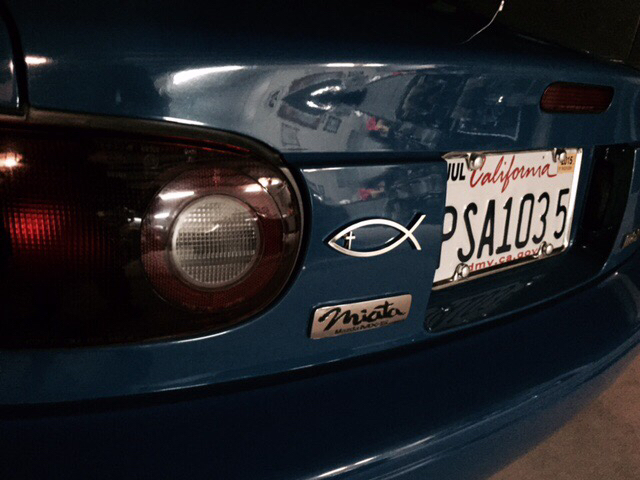 Our Miata philosophies were also diametrically opposed. Her "100% original because it was perfect" vs my "perfectly enhanced" . Since we shared Benny it seemed reasonable to enjoy a bone stock NA and just continue to live vicariously through all of you while getting more and more inspiration (I instantly developed an unhealthy yearning for a KG Works Gauge Cluster and *those* Nakamae Type R buckets!). That would have really made Benny look like a Lego Space minifig so it's a good thing it came with a minty 92 Sunburst for Jen! 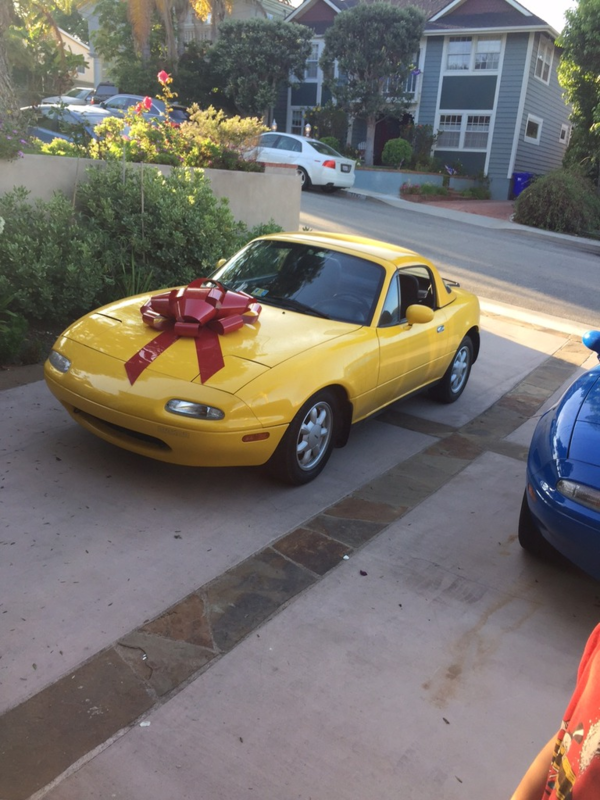 She’s always dreamed of a yellow car and it was clear this was the only way we were both going to be able to fulfil our NA dreams . hnnnng.. that fuel lid! Zoom Engineering, the need is strong.